McGill replaced the HVAC system in the elevator equipment room on the top of the Chimney Rock State Park Sky Lounge after elevator equipment had been replaced. In addition, our team designed the emergency water line replacement for Sky Lounge’s domestic water supply. We replaced waterline running inside the hewn rock elevator shaft. The original water line had corroded, so it was replaced with a welded stainless steel water line. The total shaft vertical rise of 300 feet created a unique water replacement challenge for the design and installation teams. The Chimney Rock State Park Sky Lounge had been closed, due to water line and elevator issues. The elevator shaft was drilled into the rock in the early 1900’s, leaving just enough room for the elevator car and the emergency staircase. The existing codes did not allow a water line to occupy the same space as an elevator; therefore, the water line had to be run outside of the elevator shaft, vertically, for 300 feet. The MEP team’s solution was to provide a water line that ran on the outside of the elevator shaft inside the emergency stairwell. The new water line was designed to run along the original 1900 drilled elevator shaft, along the existing rock wall. This water line would run vertically 300 feet inside the corner of the stairwell to maintain emergency access, but still provide adequate water supply to the Sky Lounge. The water line was installed per the MEP team’s drawings with slight modifications where the original rock shaft stuck out too far, causing the pipe to interfere with the stairwell access. The pipe was modified to snake along the rock wall to maintain stairwell access and the vertical climb of the water pipe. With the replacement of the water line being timed with the repairs to the elevator, the Sky Lounge was re-opened in time for the village holiday festivities. All of the challenges of this project made this such a unique problem to solve that even though it was difficult, it was actually a lot of fun to scratch our heads and come up with creative solutions. Of course, it is hard to beat the views at Chimney Rock, so making site visits to investigate the problem was just another benefit to working on this project. 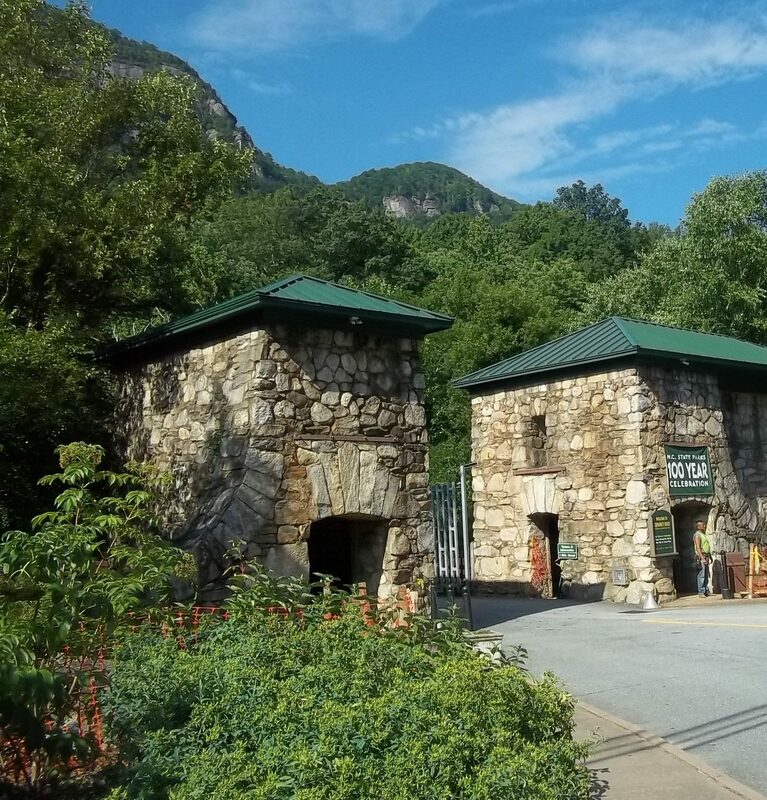 Chimney Rock State Park attracts tourists from around the country. It gained national recognition in 1992 when Last of the Mohicans, which was filmed in the area, was released.